President Trump will announce this week that he plans to run for reelection in 2020. Conservative news aggregator Matt Drudge made the announcement Tuesday on his website. 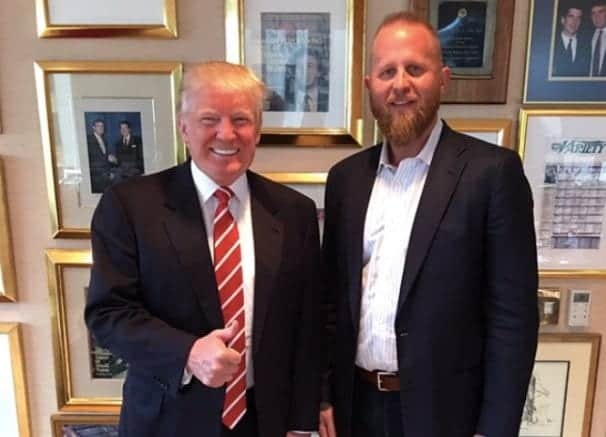 The president plans to tap his former digital adviser Brad Parscale, who is presently spearheading a pro-Trump outside group called America First Policies, as his campaign manager, Drudge reported. Trump’s decision to run for reelection is not a surprise. He’s repeatedly talked about being president for eight years and he filed paperwork with the Federal Elections Commission in January for his reelection committee. This entry was posted on February 27th 2018 at 11:40am/11:40 and is filed under Elections, Live News Column 1, Politics. You can follow any responses to this entry through the RSS 2.0 feed.